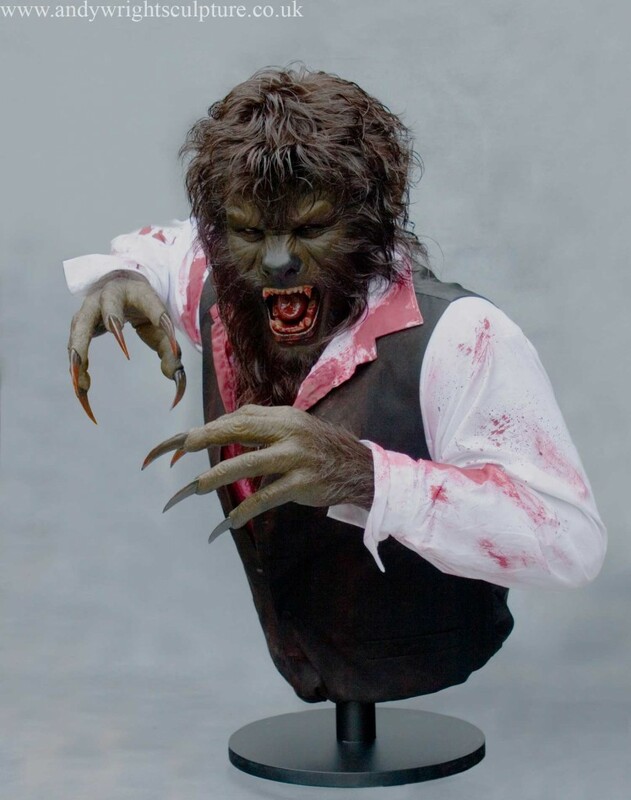 The Wolfman – Life size 1:1 replica sculpture of Benicio Del Toro. 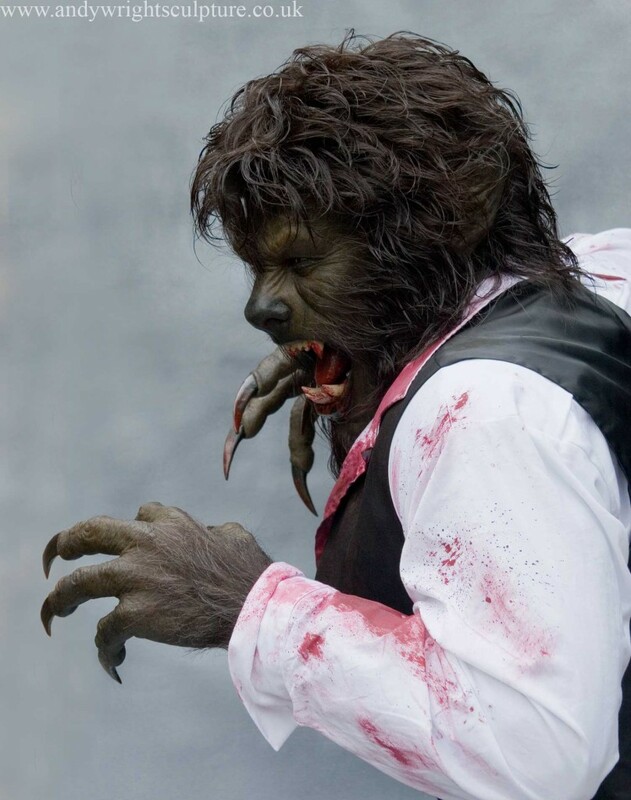 I was asked to make the Wolfman played by Benicio Del Toro from the 2010 movie. I collecting as many images and screen caps as I could find that would be useful, and a pose was decided on. A steel and aluminium armature was made, over which water based clay was applied. After roughing out the form, the head was detached and worked on for a couple of weeks, refining the expression and details. When it was finished, the head was replaced back on to the torso. The hands were sculpted from a wax based clay called plastiline. When the sculpture was finished, a fibreglass mould was made in a number of pieces. A silicone skinned with fibreglass core copy of the original sculpture was then produced. The head and hands were painted to replicate the make-up colours. 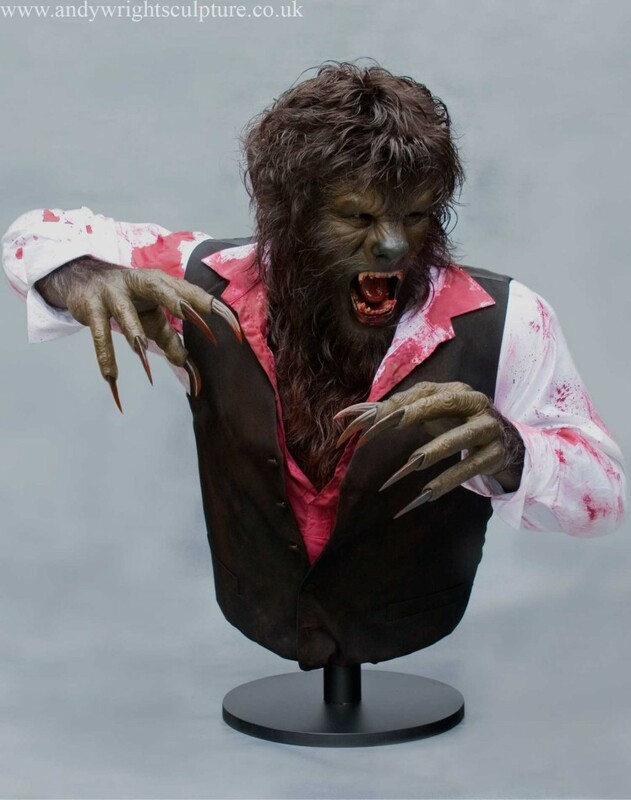 Hair was then implanted into the upper body and head, as well as the hands/arms. Quite a long process on this one. Fingernails, teeth and eyes were custom hand made in acrylic, painted and attached. 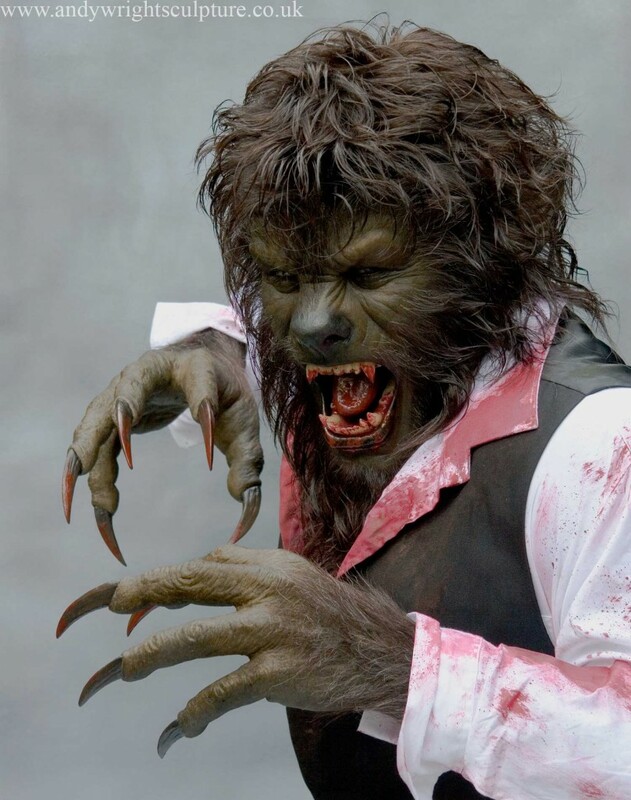 Finally the hair was cut and styled, he was dressed, and a liberal amount of “blood” added, to give the feel of the scenes from the film we were referencing.